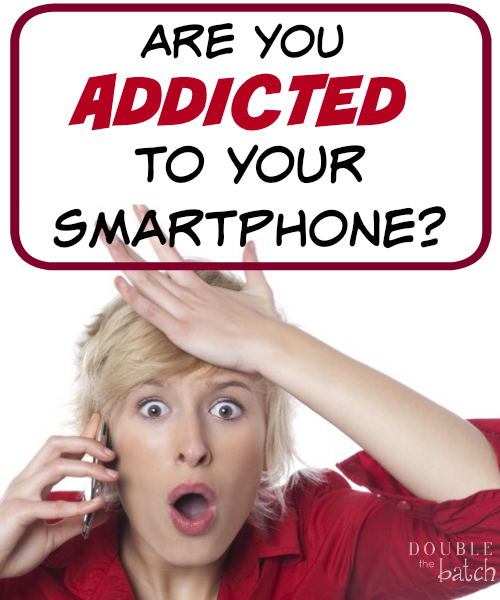 Are you addicted to your smartphone, tablet, pc, or other device? Do your family members (who are standing right in front of you) have to text you to get your attention? Do you feel chained to the one device that is supposed to make your life simpler? Are the endless texts, calls,and notifications about to make your brain explode?? I hear ya! Fast forward to today, I have found blogging! It is my favorite hobby. 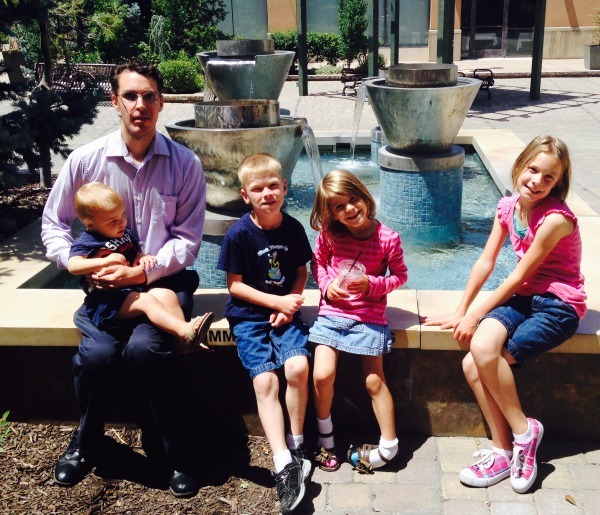 Running this blog with my family has been one of the funnest things I have ever done in my life. It gives me a much needed outlet outside of motherhood and is a VERY positive part of my life. That being said, it is a constant challenge every day to find the balance between motherhood and blogging. Some days I balance it all pretty well, others not so much. With less hours in the day now I HAVE to be so careful about all the distractions hitting me all day. MOST of those distractions are from a 5 inch device called a smartphone. The question is, who is smarter, my phone or me? Do you have smartphone addiction? Chances are, you already know the answer to this question. If not, take this fun quiz. (hint: the answer is AWAYS D :)) I failed miserably. How did you do? The biggest eye opener for me, though, was when I was texting someone on my phone and my 5 year old came over and started talking to me. I responded here and there with an “Uh Huh” to hopefully satisfy her but I literally was not listening…until I heard her say, “That’s ok. Never mind!” Now, in my defense, smartphone or not, with 4 kids, there is always someone who wants my attention and it can get overwhelming very quickly. At that moment though,my conscience told me I needed to “slow down”, “look down” and see the little person standing ‘under’ my phone who desperately wanted to be ‘above all else’ in my life. Here are some tools I have found that have helped me find balance and interact better with more of the important parts (and people) in my life. 3. Set Boundaries. Do you sleep with your phone under your pillow, on your nightstand or even closer? (yes, I actually know women who sleep with their phones tucked into their bras!) Charge your phone in your kitchen or another room other than your bedroom. Give yourself time to unwind! I also found that I am WAY more productive in my day if I DON’T start it with my smartphone, checking emails, bank accounts, facebook my blog, etc. I told you I have MOMMY A.D.D. (seriously!) so I literally have to force myself to get out of bed, start the laundry, get kids off to school, read my scriptures, exercise, etc. before I open up my phone or laptop. When I don’t follow this personal rule that I’ve made for myself, I feel like my priorities for my entire day get turned upside down and before I know it, it’s time to pick up carpool and I’m still in my pj’s. I don’t like the way I feel on those days. 4. Be present for people and experiences. Yes, I’m guilty of pulling my smartphone out during a date with my husband, or while I’m waiting in the carpool line (ok, that one is necessary!) when I’m making dinner, and yes….even the bathroom! So…let’s do this together guys! If we are helping our kids with homework we need to be fully helping them, if we are driving, the phone needs to be tucked in our purses….in the backseat:), and we need to LOOK at our husbands during date night and ignore the endless texts from our friends. I went out to eat once with a group of other ladies. At one point I asked one of them a question. She was texting someone and was completely oblivious that I had spoken to her (even though everyone else could hear me) I repeated my question again and she still didn’t hear me. I then jokingly asked the other women at the table if I should send her a text to get her attention. We all laughed and it was ll good, but I remember how it felt and I went home realizing what my kids must feel like! I am not anti-technology, just like I am not anti washing machine, anti dishwasher or any other useful tool that can be used for good. I allow my children to watch good shows, and play games and obviously, as a blogger, my laptop is indispensable! It’s so tempting when our lives get out of control to just throw out everything that is causing it. We eliminate grains and sugar because we can get out of control and gain weight, ban tv’s, or maybe even not have any internet or pc’s in our homes. Thank goodness, as mothers, we all have the wonderful intuition that God has blessed us with to know what is truly best for our own children and it’s not helpful to judge how another mother decides to raise her children. For me, personally, I have found that it’s just all about finding the right balance. That quest for me is an everyday thing. I will never claim to know it all or have it all together, because I’m pretty sure I never will, but I do strive for it every day. It is the biggest challenge, I believe, facing mothers today. So, please share! What ways have you found to be successful in your own life for finding balance with technology? Gifts For Women – Mega Giveaway!